Should you be allowed to name your kid Adolph Hitler? According to media stories, a couple have named their baby girl, born 24 November 2012, “Hashtag Jameson.” The media stories about this are mostly British, so I’m guessing the baby was born there. An Egyptian man has supposedly named his baby “Facebook” in memory of the role Facebook played in mobilizing people in the revolution that overview the Mubarak regime last February. And in the 2005 book “Freakonomics,” Steven Levitt told of an American couple who allegedly named their kids Orangejello and Lemonjello. Others have disputed that these children ever existed. Levitt’s study of how names move around America suggests that names start off in affluent areas gradually “trickle down” to become popular in the middle class, like Madison. But one LA Times writer several years ago pointed out an academic study showing that the more unusual a child’s name, the more likely they were to end up in the juvenile justice system. It may not be the name that does it, tho. The lower the educational and social status of the parents, the more likely they are to give their kids strange names. And lower socioeconomic groups are over represented in the crime statistics. Last year, a New Jersey couple who named one child Adolph Hitler , and another Aryan Nation, had all three of their children taken off them, immediately after the birth of the third. The authorities say it’s because of child abuse and violence, but the couple say it’s because of the names. So what do people think? Do parents have a right to name their kid anything they like? Does the state have a right to protect a child from ridicule and abuse that it may get from having an offensive or ridiculous name? Does it have a right to prevent parents from giving the child a name that would offend many people (like Hitler). Does a child have a right not to have a name that exposes them to ridicule or abuse, and if so, who sticks up for the child? Note: this is my blog site. For information about my novel, click here. For information about editing an academic thesis, click here. Knowing you could have prevented your sister’s death. 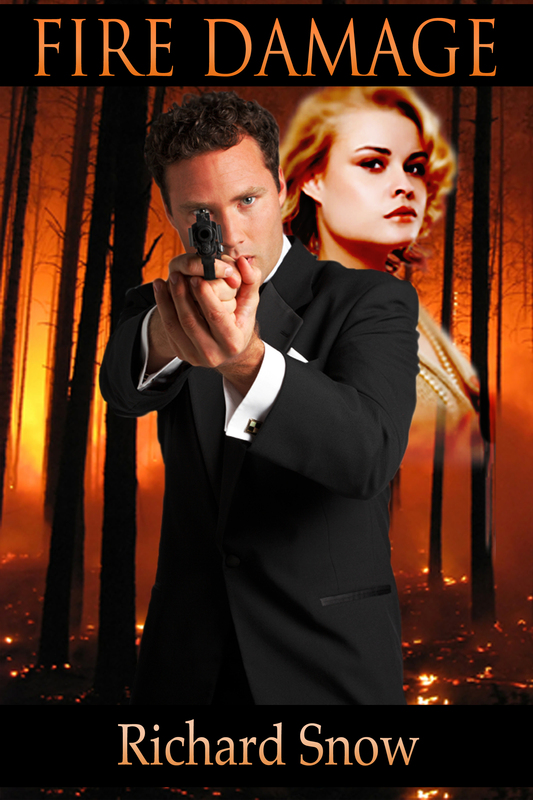 Today I released my new novel, Fire Damage, on Amazon Kindle. How do you get over knowing that you could have prevented your sister’s murder? Cameron Oakwood is an intelligence analyst whose sister and nephew were killed in a car bomb explosion outside a politician’s office. Cameron knew terrorists had made death threats against the politician. His family blames him for not warning his sister to stay away from that building. The case was never solved. Three years after her death, his family has cut him off. Consumed by guilt, Cameron obsessively re-reads documents he has hoarded to do with the case. He is becoming addicted to alcohol and tranquilizers. Cameron is assigned to work with FBI agent Jodie Finch on threat by a Japanese doomsday cult to release a genetically engineered virus at an international sporting event in Melbourne, Australia. She is attracted to his intelligence, his humor and his honesty, but she worries about his addictions and his obsessions about his sister’s death. She wonders if he is ready for a new relationship. As they work together, the terrorists take hostages to a remote country house in the path of oncoming forest fires. Cameron and Jodie have only hours left to prevent the biological attack. As they race to rescue the hostages, they make a stunning discovery about the identity of the bomb maker who killed Cameron’s sister. But they make their discovery in the most frightening possible circumstances, when all their lives hang in the balance. If you’d like to visit the site, and possibly buy a copy, you can see it here. If you want to down the kindle app to read kindle books on your computer, you can get it here. I could almost believe in re-incarnation after what I’ve just come from. Well, Ok, I haven’t had a real religious experience – just a short but vivid trip back to my youth. Remember the Swedish pop group Abba? Of course you do. Even if you weren’t born when they were around. They performed in Melbourne when I was 23, and I jumped the fence at the Myer Music Bowl and got in without paying. Well in Melbourne Australia there is an Abba tribute group called “BABBA” – except their posters print the middle B backwards, just like some of ABBA’s did. I just had a blast. This morning I noticed there was a street festival at Ivanhoe, a few suburbs from where I live. I went along and found the band performing at one end of the street was… BABBA! They did “I do I do I do I do,” “ When I kissed the teacher,” (I’d forgotten that song even existed), “Dancing Queen,” and on and on. They just look and sound SO MUCH like Abba it was like being back in 1977. So I took some photos. The first one below shows Bjorn on the guitar, Agnetha in the white and yellow, Anni-Frid (Freda) in the white and blue dress, and Benny on the Piano. Then costumes are copies from a 1976 photo on youtube. Even the drummer had fun. See the last photo. Have you ever had an experience that took you back to a time that made you feel fantastic for an hour or two? A what was it? Leave a post. I’d love to hear from you.